Certainly. We might be following our heart's passion by working as arborists, but that doesn't mean we can afford to run our business with any less professionalism. You might have heard of 'tree service companies' that grab a couple of shears and place an advert in the local papers, but we lean towards the opposite – we operate our family business as if we were running a major enterprise or a government facility. In line with this, we are fully licensed and covered by insurance in virtually every scenario that could occur. Should our work end up causing damage to the surrounding area, rest assured that you and everyone else affected will be compensated in full. That being said, we don't really deal with work-related accidents that often – we've found that our insurance is there mainly to instill faith in our customers even further. 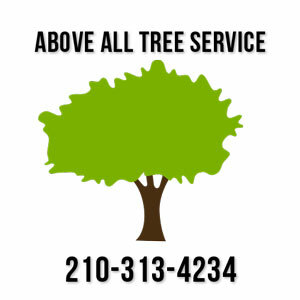 We realize that tree service contractors are notorious for their ability to cause damage, but it's not a problem that we have – you'll be pleasantly surprised to see that your insurance-related concerns were unnecessary and that we handled our environment with grace. If you're facing a contractor who lacks a license or insurance, be wary: these people could easily be someone who got to work without really having a lot of technical knowledge, or it could be a signal that their practices are lackluster and dangerous and have therefore robbed them of a chance to get insured.